Google StreetView images are pretty cool, in how you can virtually spin around and see what’s on a street in all directions. 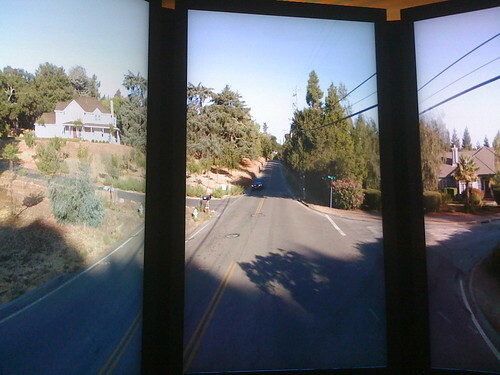 But far cooler is a Google StreetView “Holodeck” simulator that Google has at its Mountain View campus. 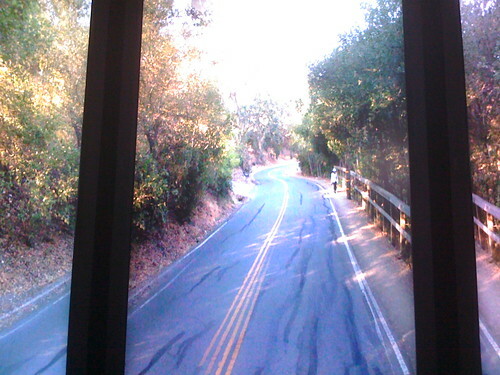 Climb into this, and you get StreetView scenes animated, projected on screens all around you, as if you were inside the camera itself. 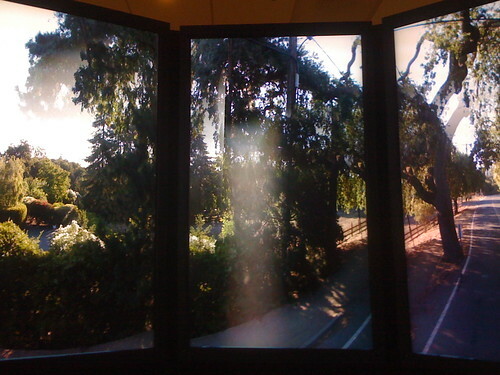 I first saw Holodeck back in October, and it’s been kept pretty quiet within the company since. 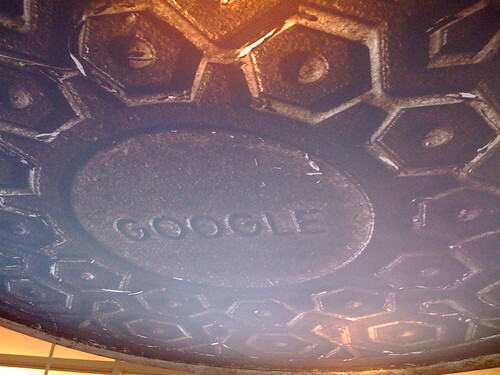 But now Google has brought it out as part of its Google I/O conference today. 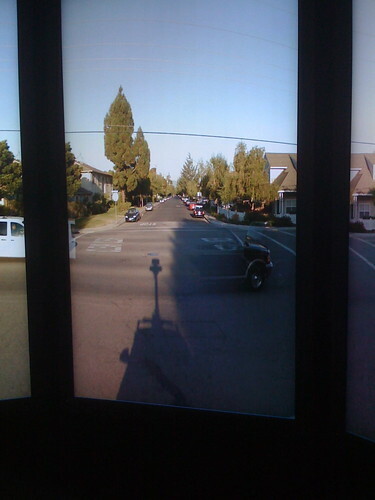 Think of it as CircleVision For Streetview, CircleVision being the popular Disneyland and Disneyworld rides where cameras were used to film in 360 degrees. Images were then projected on the walls all around the audience and could produce such a sense of montion that people used handrails to keep themselves stable at times. 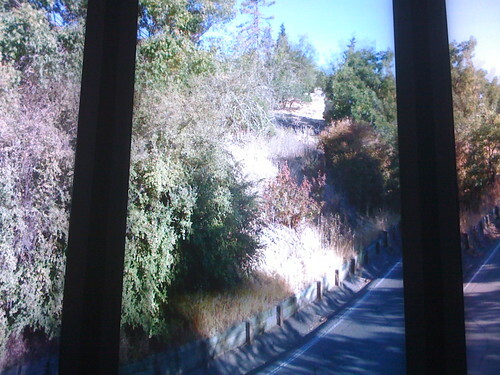 The StreetView simulator is designed for an audience of one. 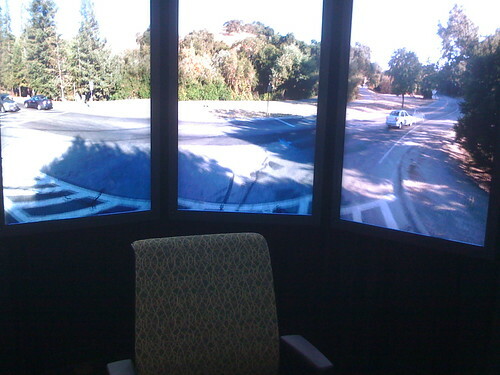 It’s a small circular room with a chair in the middle, with images from the Mountain View area constantly being projected. 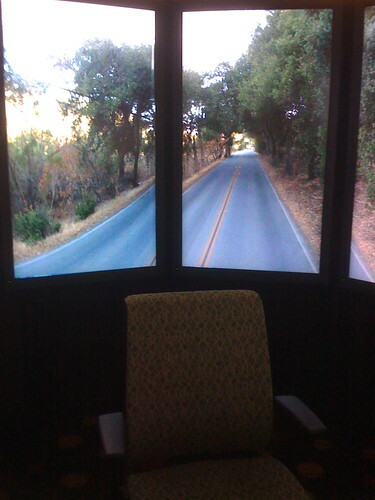 Grab a seat, and you can watch yourself drive virtually through the area, in all directions. It’s pretty cool. Google’s well known for the many toys and attractions it has at the Googleplex, ranging from the Google Whiteboard Master Plan to the dinosaurs on campus to a replica of SpaceShipOne. 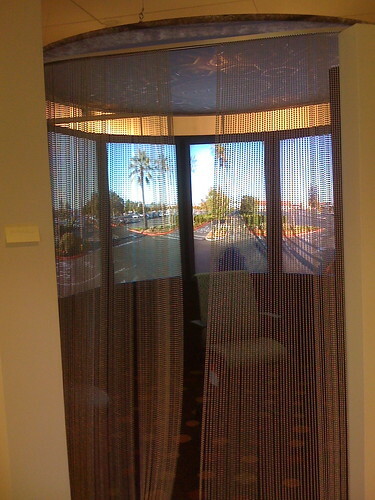 Interactively speaking, there’s a live display of search queries shown in various lobbies and a model of the world showing in light where searches are happening. But this is one of the coolest new attractions I’ve seen lately.